LAHORE: Pak Elektron Limited (PEL) Chief Executive Officer Murad Saigol announced that the Year 2018 will be Dealer Profitably Year for dealers and they are the main strength of our business. He acknowledged that the dealers play an integral part in taking PEL forward in the home appliance market. While, the organization aims to stay ‘limitless’ and go beyond the expectations of stakeholders to achieve accelerated market share. 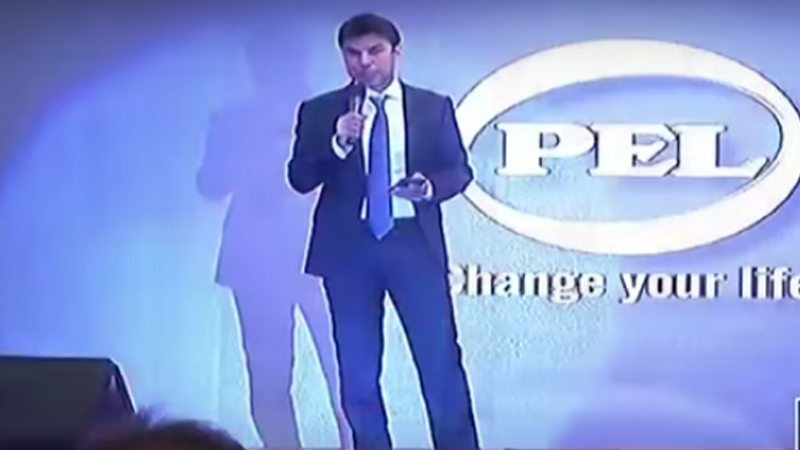 He was addressing the gathering during an annual dinner ceremony titled “PEL Limitless Dealers Summit 2018” which was hosted especially for PEL dealers at local hotel, with over 1,500 participants from all over the country. He said that PEL has always been celebrating dealers gathering every year but this time around PEL is celebrating the biggest ever Dealers Summit. PEL Limitless Dealers Summit 2018 was an event which serves as a platform to bring the PEL family together and launch various innovative appliances for its consumers. PEL knows that the dealers have set no limits when it comes to their potential and have truly gone the extra mile for PEL. A limitless Dealers Summit 2018 aim was to showcase the upcoming products for its consumers and meticulously demonstrate key new innovations for the dealers and consumers to experience. The products which were revealed included Refrigerators (InverterOn, Artic Fresh, Life and Desire Glass Door Series), Deep Freezers (Arctic InventerOn, ProFreeze, ProFreeze Extended, Slider, Crystal Series), AC (Majestic, Aero, Allure, Apex, Ace, Fit Series), Microwaves (Convection Series) and Water Dispensers (Premier, Smarter, Glass Door series). On the occasion, PEL organized several fun activities for the PEL family including musical performances by various artists followed by some amazing stand-up comedy by renowned comedians. PEL Limitless Dealers Summit 2018 was one of the many events that are aimed to bring PEL and their dealers’ closer and help build a synergy between the two for a limitless future. Not only this, PEL has a vision to keep on innovating its consumers’ life by bringing up innovative products in the coming years. This would help PEL, as a result to continue on with changing lives across nation. CEO said that Pak Elektron Limited or famously known as PEL has a tremendous tale to tell. In 1981 the Saigol Group acquired PEL and the organization diversified from being just a power equipment provider to becoming Pakistan’s favourite home appliance brand. From that time onwards, PEL has embarked upon the journey to provide homes in Pakistan with not just functional appliances but appliances which help change lives. Published in Daily Times, January 22nd 2018.